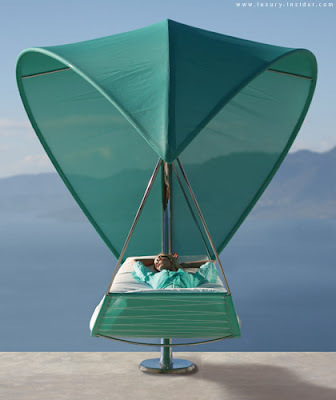 Just in time for summer we wanted to follow up on our previous outdoor furniture blog post with a selection of outdoor swings and hammocks. 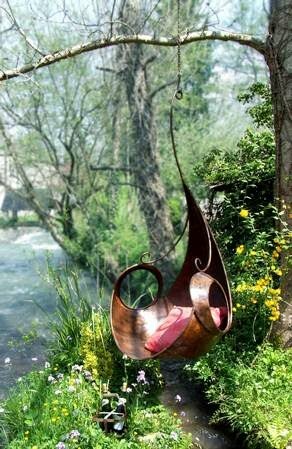 A beautiful swing can act as a sculptural piece in your garden as well as be your relaxation destination for reading, napping or soaking up the sun. A modern take on the traditional hammock: The Wave outdoor swing by Royal Botania. 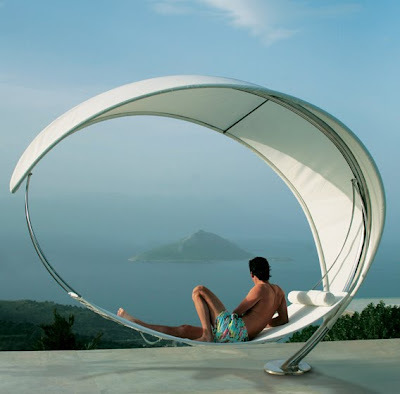 Part hammock, part sun chair, part parasol and part functional art. 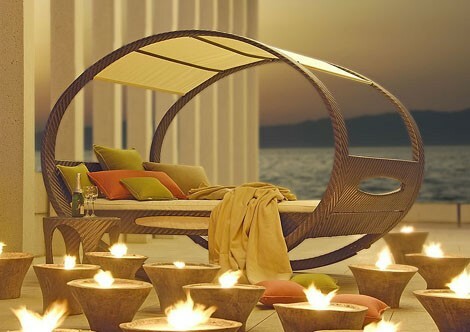 Swing outdoor bed by Stern-Mobel. 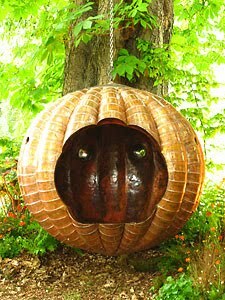 The Pumpkin Swing is made of recycled copper. 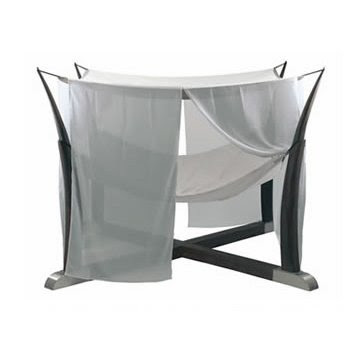 Myburgh Designs. 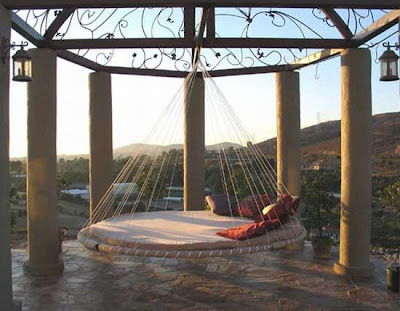 The Romantic Ostara Swing is big enough to fit two! 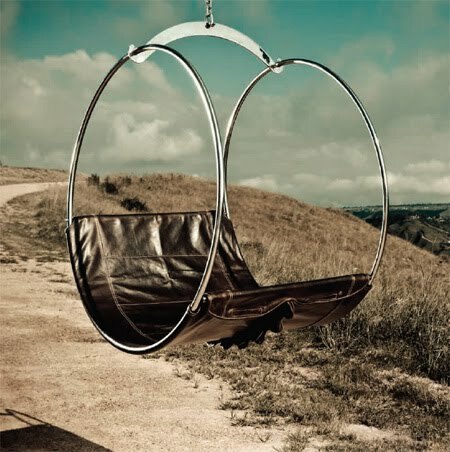 Mybergh Designs. 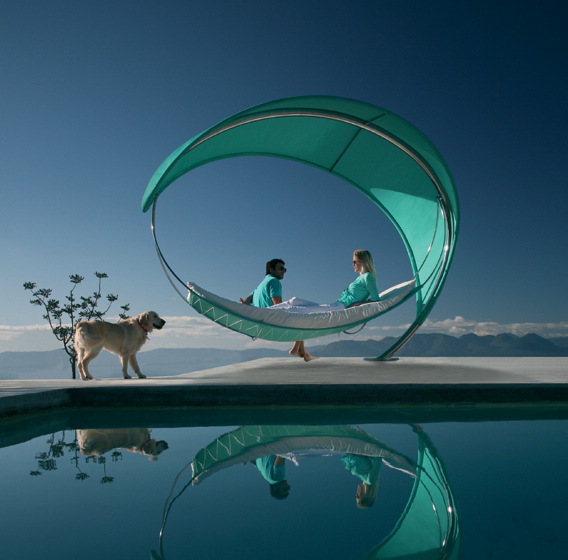 Copper Mypod Swing. Mybergh Designs. 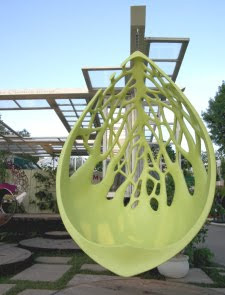 Fiberglass resin Inhale Swing. 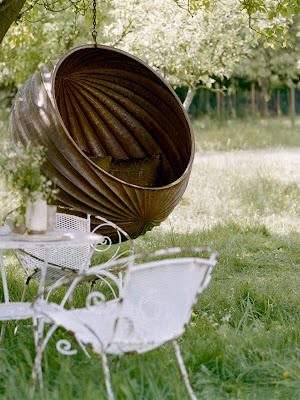 Mybergh Designs. 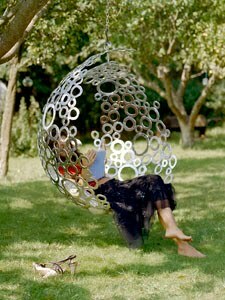 The stainless steel Bubble Swing is like a floating bubble in your garden, Myburgh Designs. 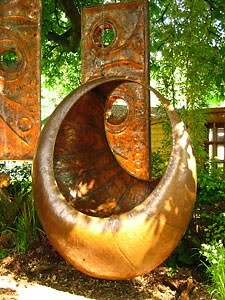 The Moon Swing is made of beaten copper, Myburgh Designs. 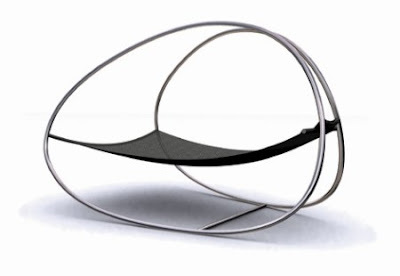 Cocoon Hammock, Henry Hall Design. Jasmin Swing, made of curled wrought iron adds a whimsical touch to your outdoor space. Myburgh Designs. 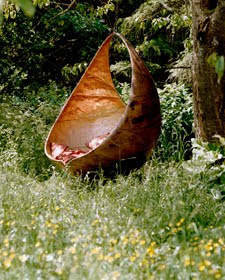 The feminine Lily Swing by Myburgh Designs is both sculptural and functional.